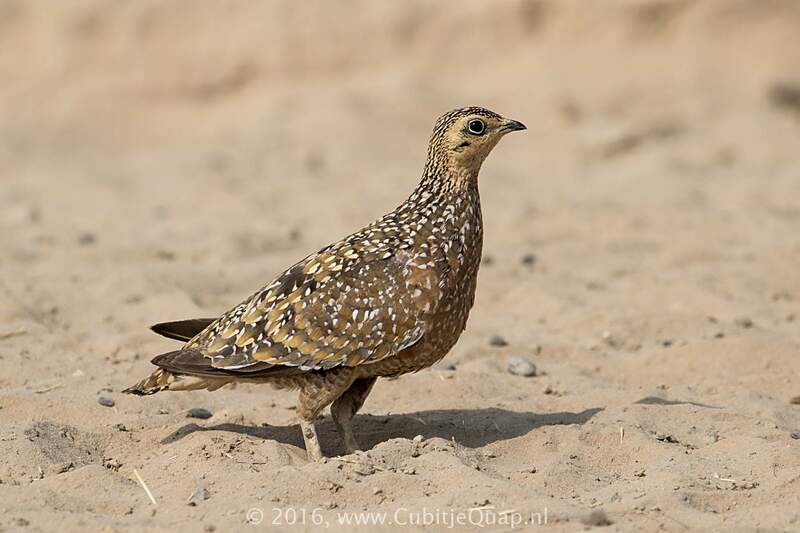 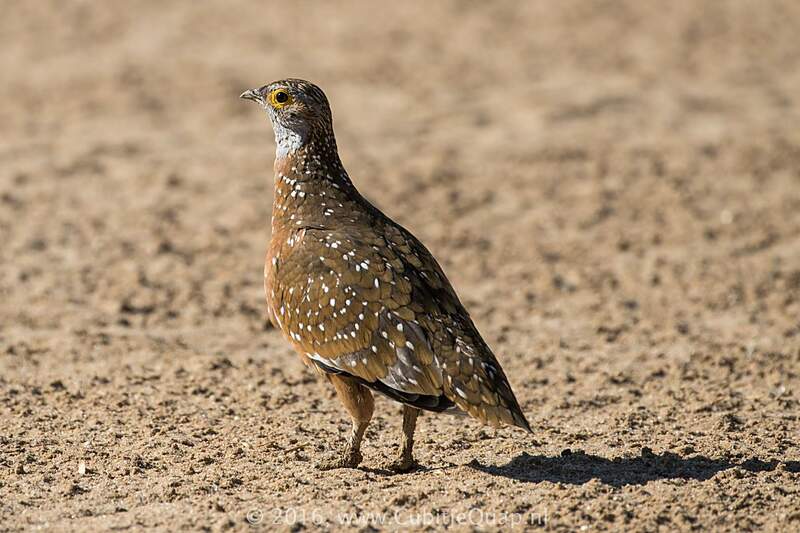 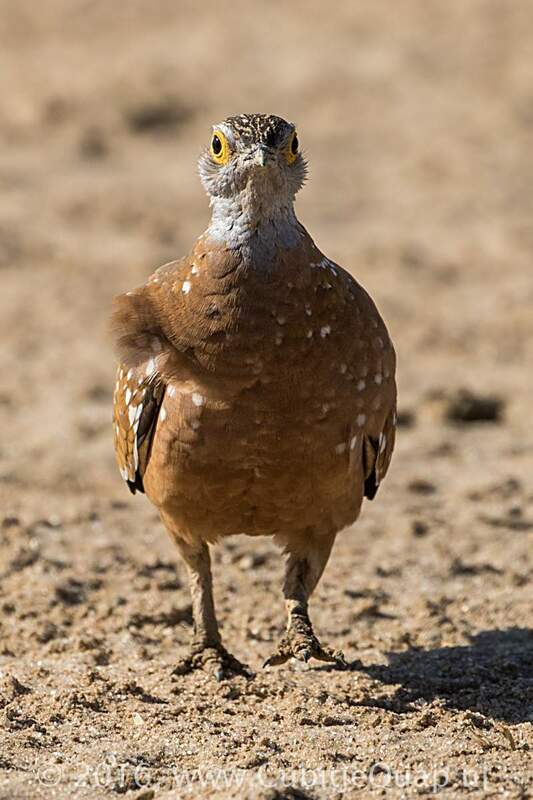 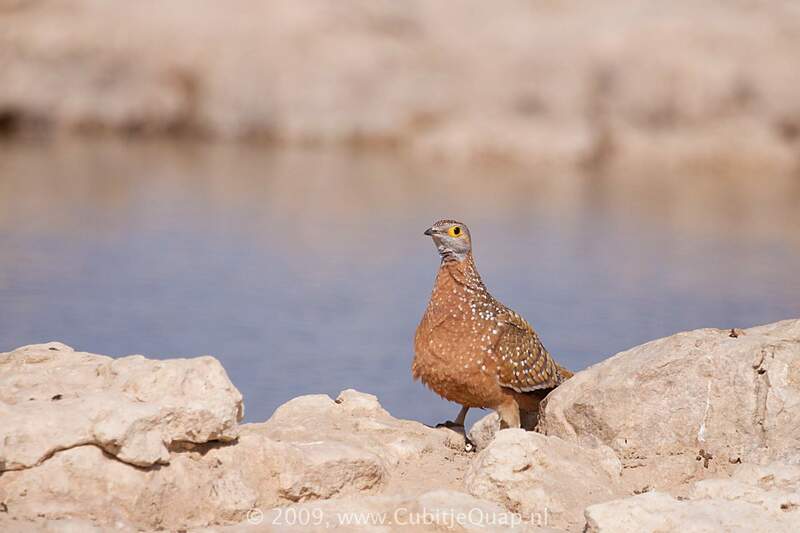 The white-spotted, cinnamon breast and belly, combined with the white-spotted back and wing coverts, render this small sandgrouse unmistakable. 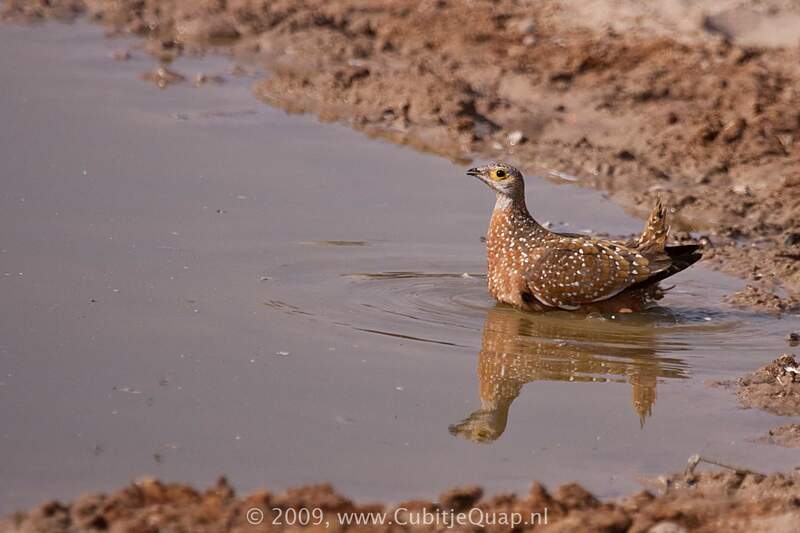 Female and juvenile resemble a male but have a yellowish, not blue-grey throat and face, and are generally drabber in colour. 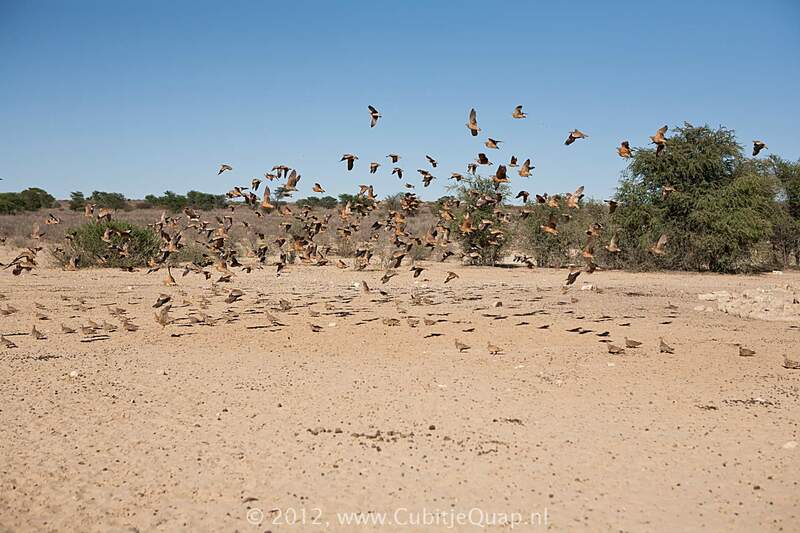 Semi-arid savanna; particularly common on Kalahari sands. 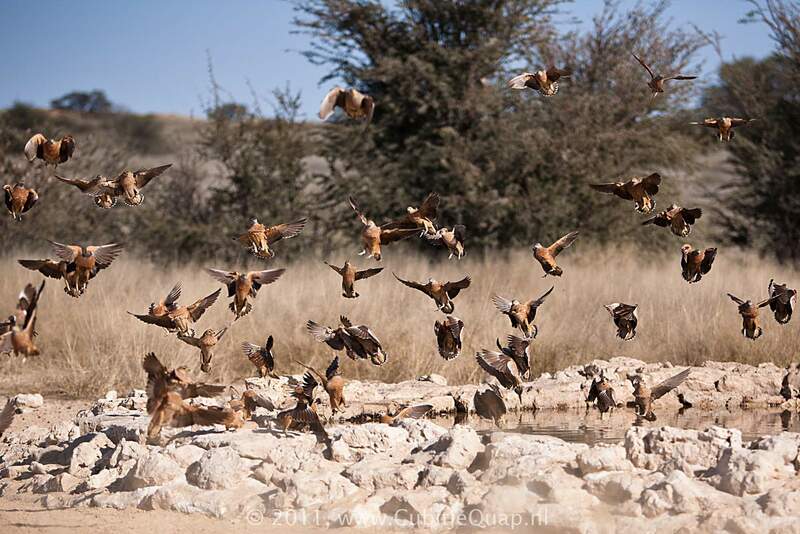 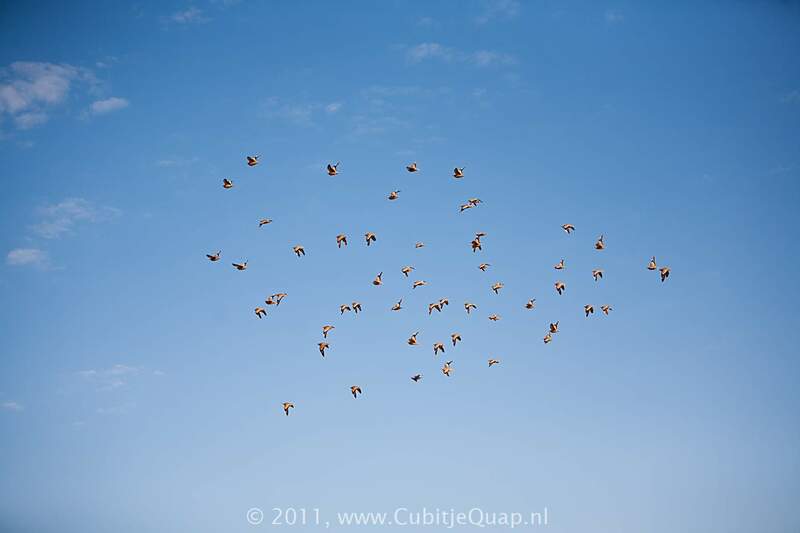 A soft, mellow 'chup-chup-choop-choop' given in flight and around waterholes.